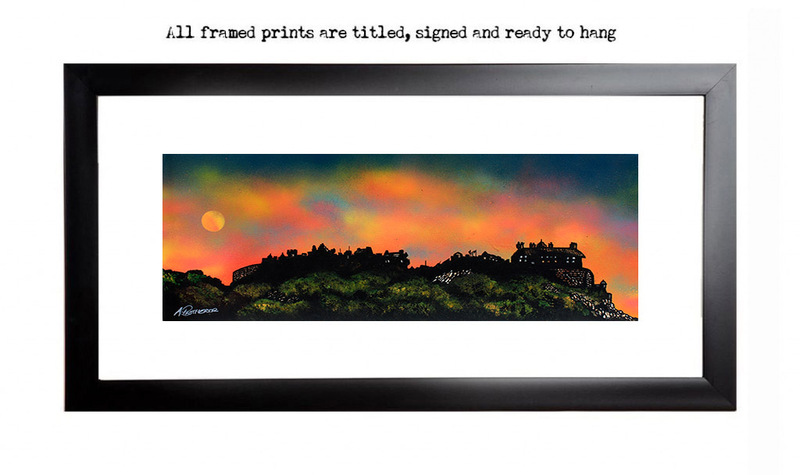 Original painting & prints of the Edinburgh castle at dusk, Edinburgh Festival, Scotland. Framed print of Edinburgh Castle, Scotland by Scottish artist Andy Peutherer. Edinburgh Paintings & Prints - Edinburgh Castle Dusk 2, Scotland - Original painting & prints.